The options for coffee once you have access to any of the Keurig models are endless. Depending on your flavor preference, you can enjoy a variety of coffee flavors as well as other hot beverages including hot chocolate or apple cider. In this guide will focus on coffee in a wide array of tastes, flavors, potency and caffeine intensity as well as popular brands in reviews of the best K-Cup coffee. Of course, it's just our opinion. 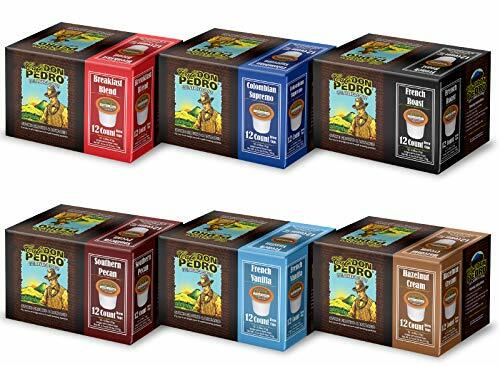 The Cafe Don Pedro line of K-Cup pods are high in flavor and low in acid. For those who suffer from acid reflux or any intestinal issues related to coffee intake, this may be a great brand to consider. Additionally, if you're purchasing this brand for a pop of flavor such as French Vanilla or Hazelnut Cream, be aware that all of the flavors in this coffee are mild. You may want to add a flavored creamer to your cup for a stronger pop of flavor. However, the basic coffee flavor is good in each variety and will not lead to stomach upset. It should be noted that while Cafe Don Pedro wasn't usable in a 2.0 machine, the manufacturer is now in the process of supplying K-Cup pods and carafe packs that will fit in newer Keurig coffee makers. There's nothing fancy about Donut Shop coffee, and that's just how fans of this basic, delicious coffee like it! This is a medium roast coffee with a fairly strong concentration. While some coffee drinkers associate "strong" with "bitter", be aware that Donut Shop coffee is not harsh. It's simply a robust, rich flavor. If you enjoy strong coffee flavor with a bit of bite at the end, this is a great blend for you. San Francisco Bay Fog Chaser will lift your spirits and elevate your focus with a hearty dose of medium and dark roast coffee, loaded with smoky flavor and plenty of caffeine. However, San Francisco Bay coffee offers K-Cup fans the chance to enjoy their single cup of coffee without environmental concerns. These pods are nearly 100% biodegradable and will compost down to the mesh filter. Even the plastic ring that holds the pod in the Keurig will break down over time. 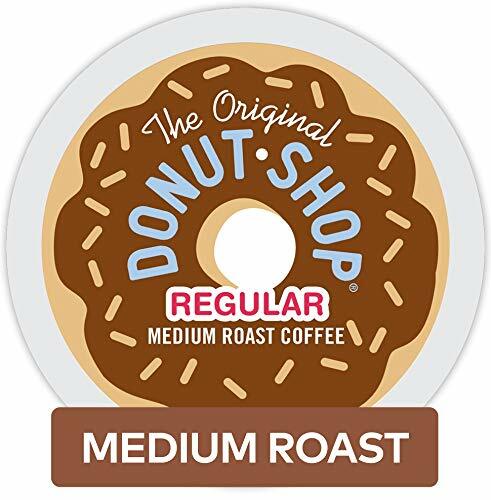 The Donut Shop variety is unsweetened and produces a strong cup of medium roast coffee. The Victor Allen line of coffee products is available in bulk. Many users find it to be slightly more bitter than other donut shop lines, but many drinkers prefer their coffee with a bitter edge, particularly those who don't care for overly sweet beverages. 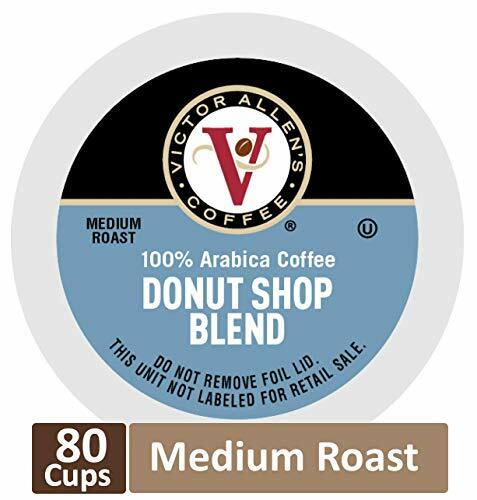 While many 80 count K-Cup pod sets offer a wide variety of flavors, some of which you may enjoy more than others, the Victor Allen product line sells large quantities of one flavor. 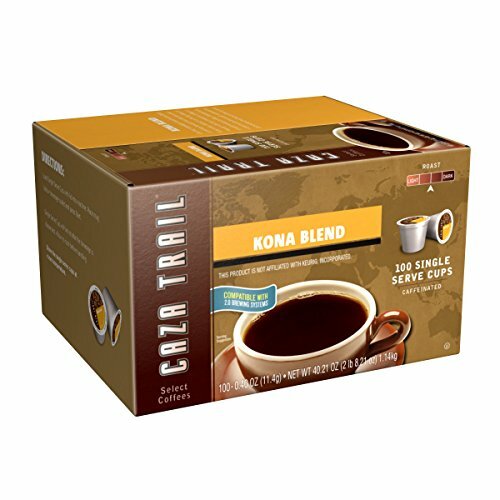 Kona coffee refers to coffee grown on the big island of Hawaii, but Caza Trail coffee blends Kona with Arabica beans grown in Latin America. If you're looking for traditional big, dark Kona flavor, this coffee may not fill the bill. That being said, Caza Trail Coffee is loaded with robust dark roast flavor. While Kona coffee flavor is quite hearty, the dark roast of the beans can make this a very strong and rather bitter cup of coffee. When trying to figure out which roast of coffee to purchase, it's best to start light. If you've never developed a taste for dark roast coffee, dark roast K-Cup coffee will likely be far too strong for you. 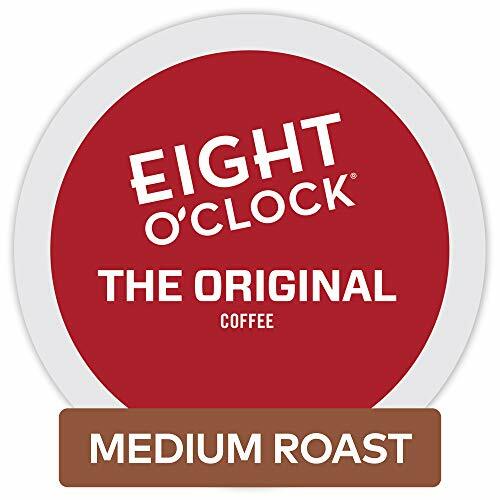 The Eight O’clock Original Roast may be an ideal cup of coffee for fans of dark roast or espresso coffee. If you're not a big fan of dark roasts, try brewing this into a travel cup or other tall mug so your get a bit more water to stretch the flavor. It's important to use Keurig K-Cups or refillable K-Cups that are rated to fit into your Keurig or you can damage the clamping mechanism that pierces the foil and releases the coffee. Additionally, the time and heat involved in brewing are specific to Keurig machines. 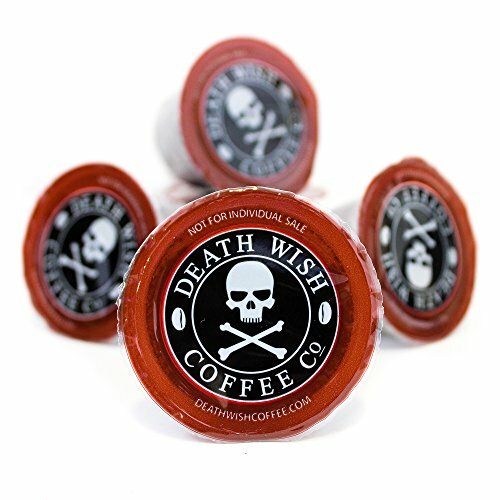 Death Wish Coffee is for serious caffeine fans that like a strong coffee flavor and don't fear the bite of bitterness. If you struggle with reflux or any stomach issues, Death Wish coffee will not help your digestive tract. Additional risks of extreme caffeine use include heart palpitations, jitteriness and inability to focus. This is not a slow start to your day. However, if you're struggling and really need a punch of coffee, Death Wish may be a great option. In addition to providing a jolt of caffeine, Death Wish pods are made of recycled materials and can be recycled again. 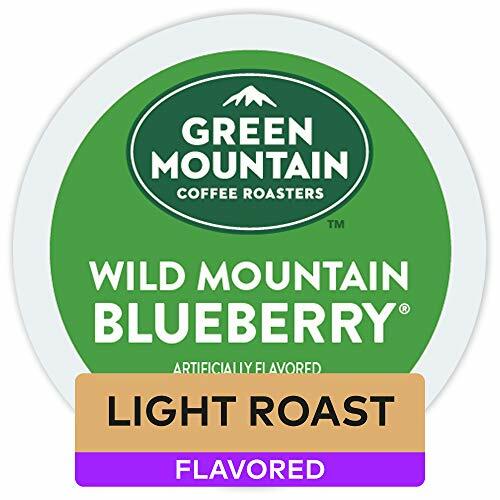 Green Mountain K-Cups are certified for Keurig use and will work well with any Keurig machine per the packaging. The blueberry flavor in this coffee is quite potent and will linger in the cup for the next brew no matter what coffee you drink next. Cleaning your Keuri﻿﻿﻿﻿g is ideal before switching. This coffee blend is based on a very mild roast. The flavor is quite gentle and the fruit aroma and flavor are very pleasant. Many of the products offered by Green Mountain are fair trade and organic, though the pods generally cannot be recycled. 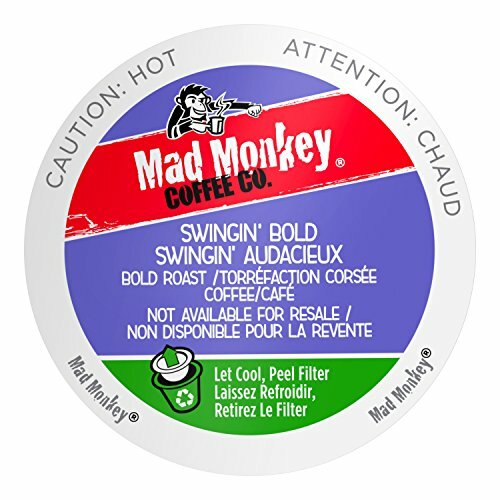 Mad Monkey K-Cup pods have a Flavor Max filter inside each pod. This adds to the air protection and means your coffee is fresh and read to brew. This coffee is not for the faint of heart. While not as powerful as Death Wish, Mad Monkey is a true dark roast with plenty of kick and a strong, bold coffee flavor. In addition to freshness, this filter makes it possible to easily clean and recycle your coffee pod. A cup of Grove Square Cappuccino offers fans of French Vanilla a yummy and robust burst of sweet flavor. These pods are sweetened with sucralose and may be a bit much for some fans of bold coffee flavor. However, many coffee drinkers will mix this with a batch of dark roast for great flavor and sweet vanilla. Many users were surprised to find that this K-Cup contains syrup, not coffee grounds. 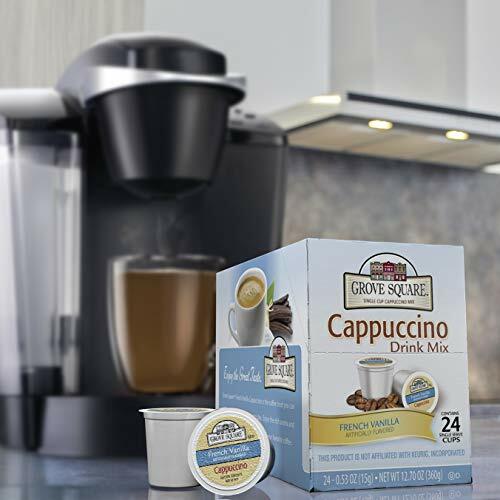 Because the combination of longer-term exposure to hot water in addition to the sweetener might lead to a burnt sugar taste, the Grove Square Cappuccino French Vanilla is a liquid pod, similar to other sweet treats that can be made in a Keurig. As a general rule, if you're accustomed to drip coffee and are considering purchasing a Keurig as a replacement coffee maker, be aware that the K-Cup coffee may be of a bolder flavor. Depending on the variety of coffee you purchase, of course, you can find a milder brand if you'd prefer it. Keurig pots brew into an open cup, so some coffee fans may be disappointed as heat can be lost in the brewing process. Consider investing in a double-walled mug and cover it as soon as your coffee is brewed for the hottest possible temperature. Additionally, there has been a great deal of concern regarding K-Cups and their impact on plastic waste. While dumping a full pot of unused coffee is a waste of water and the power used to heat it, K-Cups can be a burden on landfills. 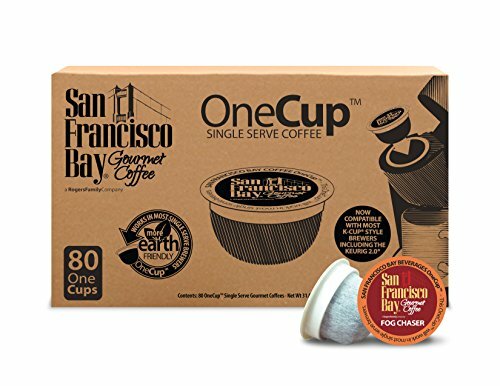 For recyclable cups, consider the San Francisco Bay line of products, which are not only recyclable but will compost down to the mesh filter used to encase the coffee grounds. One household can include several coffee preferences, and changing out the office coffee selection can be a nightmare. Everyone's coffee preference is specific and many drinkers are quite wedded to their choice. Thus, investing in a Keurig, filling it with filtered water and using Keurig certified pods is a great choice to keep all your coffee drinkers happy. Did you enjoy these reviews? Let us know in the comments with your favorite K-Cup coffee, tastes and preferences.